It is quite possible to accept an early date and high historical reliability for the Gospels and still believe that the people who wrote them were deluded or disingenuous. On the other hand, it is also possible to accept the message of the Gospels and still maintain unorthodox notions about their history and provenance. That is what happened to Ms Rice. Anne Rice is best known for her vampire novels, books that combined a diligent study of social history with a non-theistic model of the supernatural. Then we learned that she had embarked on a series of biographical novels about Jesus Christ. We were assured that she had diligently studied the finest modern biblical scholarship. Moreover, the story was to be told from the point of view of the subject, in the first person. Perhaps she planned a fictionalized version of Morton Smith’s Jesus the magician. Maybe a Jesus modeled on the Vampire Lestat would paraphrase Josephus in a tale laced with atrocity and dark witticisms. And that might be if we were lucky: the first novel was to deal with the childhood of Jesus, and some accounts of those “lost years” have him visiting the Ascended Masters in Tibet. The actual book is a complete surprise. This story, told through the mouth of seven-year-old Jesus, is thoroughly engaging. Yes, there is quite a lot of Josephus and other standard authorities, but the book never falls to the level of a Pageant of History (or worse, of source notes). The backbone of the story elaborates a quite conventional reading of the flight of the Holy Family to Egypt, an account we find in Matthew’s Gospel. (Rather cleverly, Ms. Rice has Joseph the foster-father of Jesus doing carpentry for Philo of Alexandria, the philosopher who attempted a Platonic interpretation of Judaism and who clearly influenced St. Paul.) In the biblical account, Jesus implicitly becomes the new Moses. Ms. Rice sets the return of Jesus’s family to Nazareth during the revolts against Herod Archelaus, so that their experiences in riot-torn Jerusalem and Judea also become a recapitulation of the history of the Jewish people on the return from Exodus. For better or worse, Ms. Rice has also chosen to revive some noncanonical tales about Jesus from the apocrypha, but orthodox readers will find little to object to in Christ the Lord. The Author’s Note at the end of the book does suggest there may be a little packet of dynamite in the series, but we will get to that in a moment. Let us consider now how the book works as a novel. As for Big James, my brother James who knew so much, James had seen it before, when he was very small, and had come here with Joseph before I was ever born, even he seemed amazed by it, and Joseph was quiet as if he had forgotten us and everyone around us. But as I am trying to tell you this story from the point of view of the child that I was, I will leave it at that. Cleopas took me by the shoulder. “You’re the only one who ever listens to me," he said, looking into my eyes. “Let me tell you: no one ever listens to a prophet in his own land!” “I didn’t listen to you in Egypt,” said his wife. Ms. Rice makes her characters bilingual in Greek and Aramaic; Uncle Cleopas even knows enough Latin that once he buys a small book in that language. The story, like the Gospels, is history “from below,” but Ms. Rice knows that the people below often have articulate and well-informed views about politics and current event. For instance, the people of Nazareth have mixed feelings about the Romans, but they despise the loathsome Herodian dynasty. As for social status, Joseph was essentially the head of a fair-sized construction firm composed of brothers and brothers-in-law. Though not well-to-do, they were not poor people, and they did not live in a backwater. They came again, so many of them but this time I only smiled and I didn’t open my eyes. You can come, you aren’t going to make me jump and wake up. No, you can come, even if there are so many of you there are no numbers for you. You come from the place where there are no numbers. You come from where there are no robbers, no fires, no man dying on a spear, but you don’t know what I know, do you? No, you don’t know. In sum, the whole case for the nondivine Jesus who had stumbled into Jerusalem and somehow got crucified by nobody and had nothing to do with the founding of Christianity and would be horrified if he knew about it – that whole picture which had floated into liberal circles I frequented as an atheist for 30 years – that case was not made. Not only was it not made, I discovered in this field some of the worst and most biased scholarship I’d ever read. This is not an unusual assessment. There is good higher criticism and bad higher criticism, but even the good higher criticism is no better than plausible. Classicists, notoriously, often think that the whole of New Testament criticism is stuff and nonsense. That is far from saying that scholars of Greek who are prepared to treat the New Testament like an ordinary text are necessarily persuaded by what it says. It is quite possible to accept an early date and high historical reliability for the Gospels and still believe that the people who wrote them were deluded or disingenuous. On the other hand, it is also possible to accept the message of the Gospels and still maintain unorthodox notions about their history and provenance. Before I leave this question of the Jewish War and the Fall of the Temple, let me make this suggestion. When Jewish and Christian scholars begin to take this war seriously, when they begin to really study what happened during the terrible years of the siege of Jerusalem, the destruction of the Temple, and the revolts that continued in Palestine right up through Bar Kokhba, when they focus upon the persecution of the Christians in Palestine by the Jews; upon the civil war in Rome in the 60s which Kenneth L. Gentry so well describes in his work Before Jerusalem Fell; as well as the persecutions of the Jews in the [Diaspora] during this period -- in sum, when all of this dark era is brought into the light of examination -- Bible studies will change. Right now, scholars neglect or ignore the realities of this period. To some it seems a two-thousand-year-old embarrassment and I'm not sure I understand why. But I am convinced that the key to understanding the Gospels is that they were written before all this ever happened. Kenneth L. Gentry (and another major authority for her, N.T. Wright), are preterists, people who believe that the whole of Biblical prophecy was completely or almost completely fulfilled in the 1st century. The apocalyptic prophecies in the New Testament (and in the Old Testament too, for that matter) were fulfilled by the New Covenant established by Jesus and by destruction of Jerusalem by the Romans in AD 70. In order to maintain this position, they must show that the canon of scripture was complete by AD 70. This includes John’s Gospel and the Book of Revelation. Traditional scholarship was content to assign a date of composition for those books to end of the first century. After a long period when scholars speculated about fantastically later dates for those books, modern Biblical criticism has returned to that view. With a few dissenters, however, modern criticism resists the notion that any of the Gospels could have been written before Jerusalem fell. This has become an issue because of the growing interest in recent decades in endtime prophecy. Preterism is not a new idea; in some ways, it is just a form of postmillennialism, which holds that Christ will come again after the church has reformed the world. 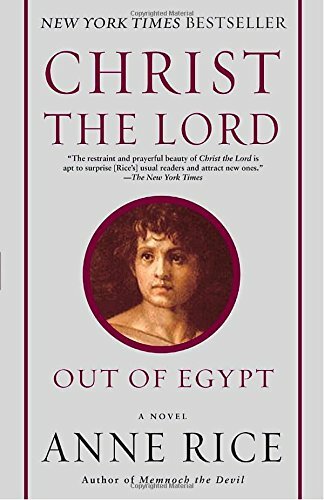 In any case, within the last 30 years, ideas along these lines have seemed increasingly attractive to certain churchmen and theologians who were embarrassed by the theology of the Rapture that we find in the books of Hal Lindsey and in the Left Behind series. Preterists argue, in effect, that the Tribulation has already occurred. The most rigorous preterists, sometimes called "hyper-preterists," would add the Second Coming and Resurrection to the list of fulfilled prophecy. (Readers may be interested in a review of John Noë’s Beyond the End Times.) Christians thus need not fear the end of the world. Preterists had had high hopes for the year 2000. Endtime hysteria, they believed, would expand in a great bubble, and then burst in disappointment at the failure of the Rapture to occur. Christian millenarians would thereafter cast about for a new model of salvation history; the preterists thought they had the most coherent one on offer. Maybe they did, but they suffered a form of millennial disappointment themselves. The only people who were really preaching doomsday for the year 2000 were doing so in connection with the Y2K computer bug. So, pretribulation dispensationalism (the technical term for the Rapture model) survived the year 2000, and preterism was without any obvious prospect of linking to popular culture. Now, five years later, comes Anne Rice and what promises to be a successful series of popular novels, endorsing preterist views and texts. Although the preterists have embraced Ms. Rice as one of their own, this does not necessarily mean that she shares their views about eschatology. Her interest in the area seems confined to the dating and credibility of the Gospels. Still, her work may succeed in doing what I would not have thought possible: providing preterism with a mass audience.